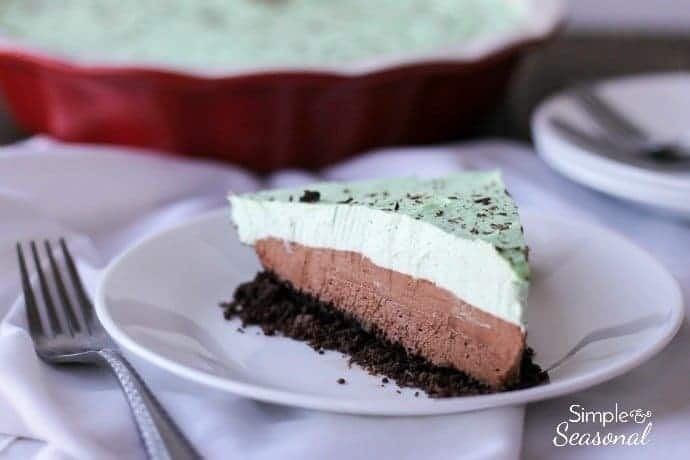 Chocolate crust, creamy chocolate mousse and mint cream topping all come together to make this beautiful Chocolate Mint Mousse Pie! 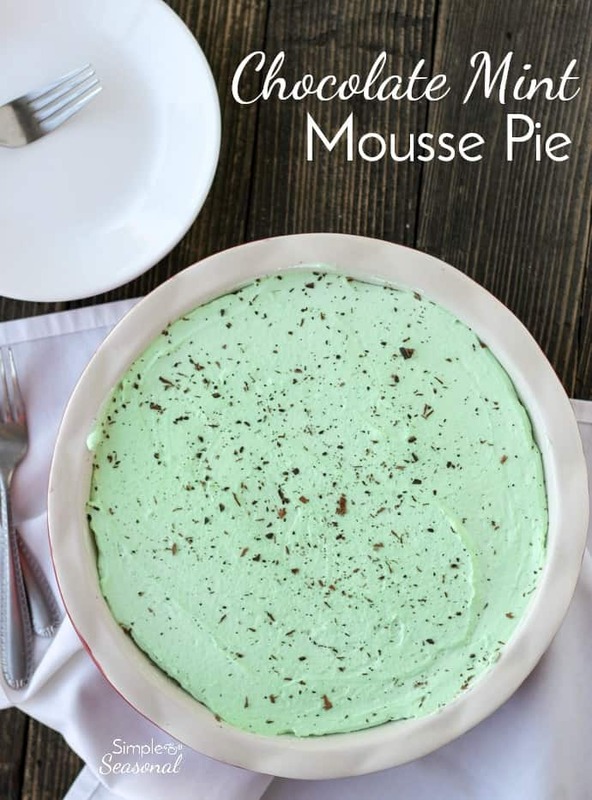 I’ve mentioned before that I’m not really a “pie person.” I’d rather have cake any day. But every year we have a Praise and Pie night at church and I like a challenge. 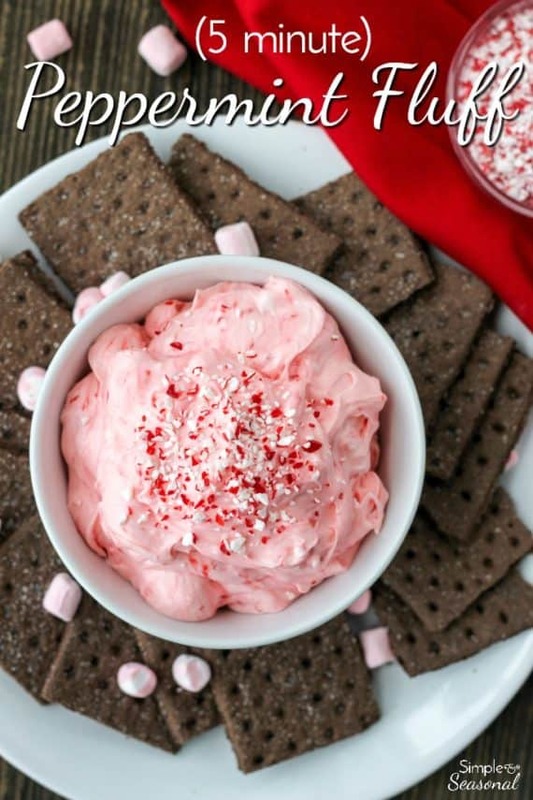 🙂 This year I found a recipe in a Hershey’s cookbook that I wanted to try. 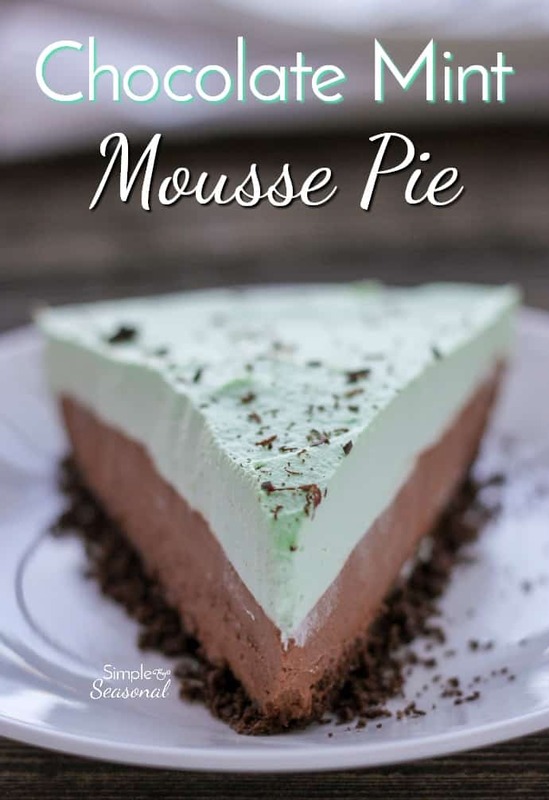 I’ve never made mousse from scratch before (most of my pudding desserts come from a box,) but the creaminess and rich flavor in this Chocolate Mint Mousse Pie has definitely won me over. The original recipe called for a regular pie crust, but since that’s my least favorite part of a pie, I switched things up and went with a homemade graham cracker crust instead. I used chocolate graham crackers, but you could easily swap them for crushed Oreo cookies or regular graham crackers instead. Here’s a recipe for a regular graham cracker crust. 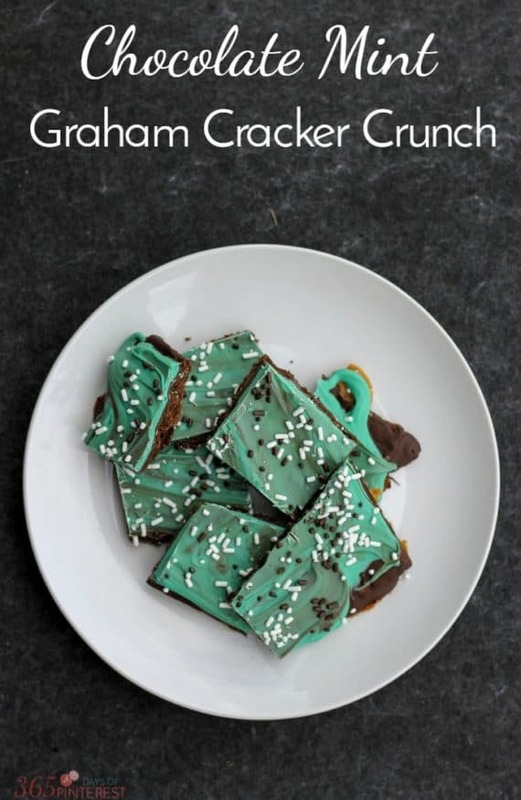 Mix the crushed graham crackers and melted butter until crumbly and completely coated with butter. 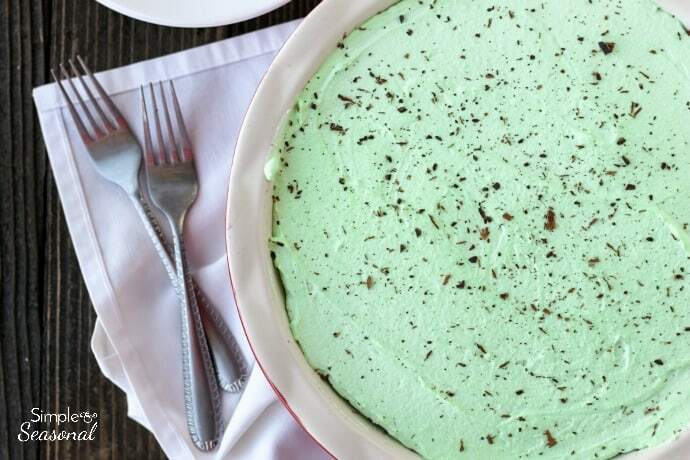 Press into the bottom of an 8 or 9 inch pie pan and chill. Sprinkle gelatin over cold water in a small cup; let it stand for 2 minutes to soften. Add the boiling water and stir until it's completely dissolved and the mixture is clear. Cool for about 5 minutes. Meanwhile, stir together sugar and cocoa in a medium bowl. Add whipping cream and vanilla. Beat with a mixer on medium speed until stiff peaks form. Add the gelatin mixer and beat until just blended. Spoon into prepared crust. 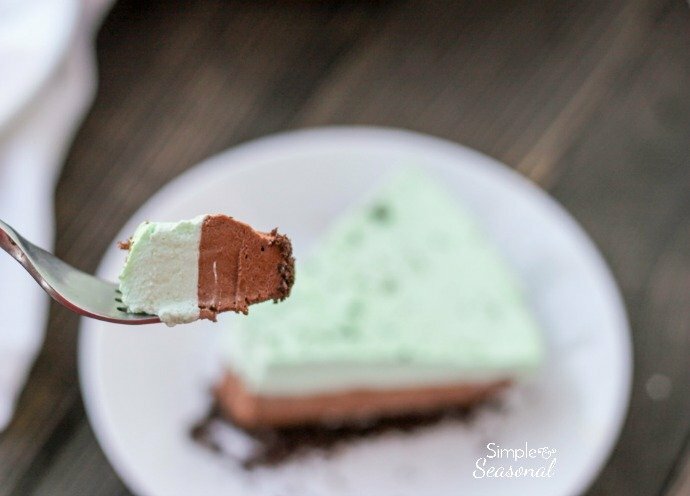 Prepare Mint Cream Topping; spread over chocolate filling. Refrigerate for at least 2 hours. Garnish with shaved chocolate and serve. Keep leftovers refrigerated. It's important to allow the gelatin to soak in cold water before dissolving it so the granules will properly swell and then dissolve smoothly when heated! 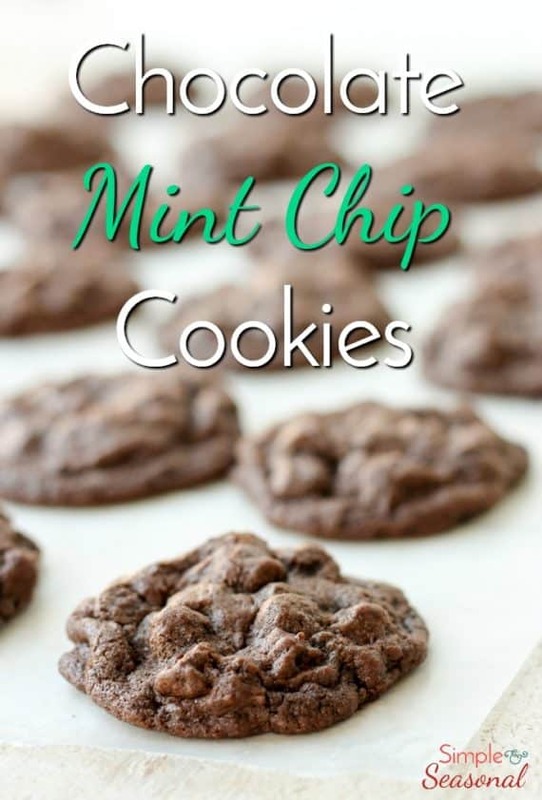 Recipe adapted from Hershey's Classic Recipes cookbook. 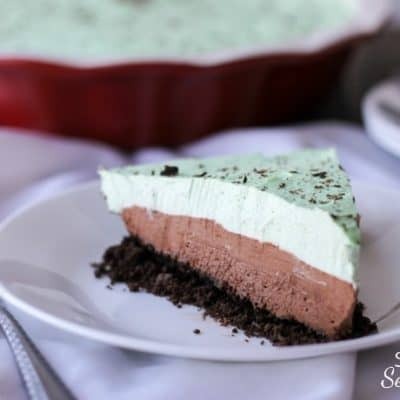 This Chocolate Mousse Mint Pie is going to look great on your Christmas table! Don’t forget to pin it for later!